your evolving business requirements? You’re not alone. Say goodbye to the love-hate relationship you share with your current phone system. 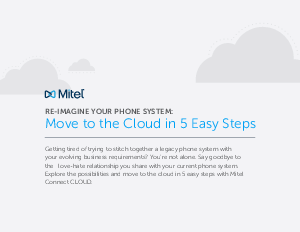 Explore the possibilities and move to the cloud in 5 easy steps with Mitel Connect CLOUD.